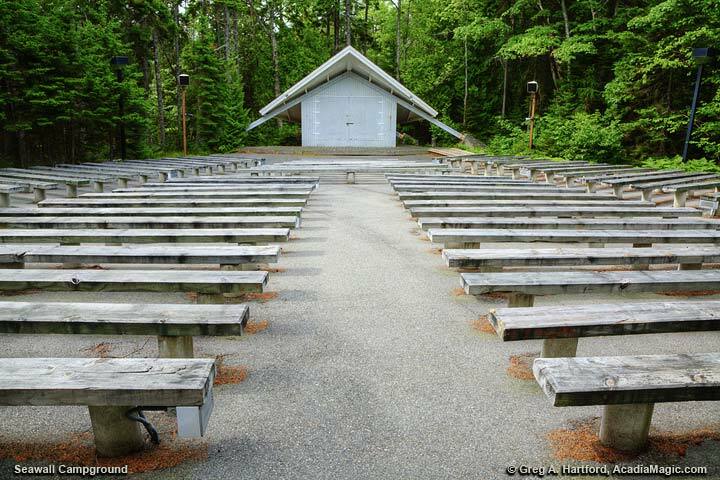 Seawall Campground in Acadia National Park provides a great wooded setting that is open late May through September 30. Full reservations are accepted. 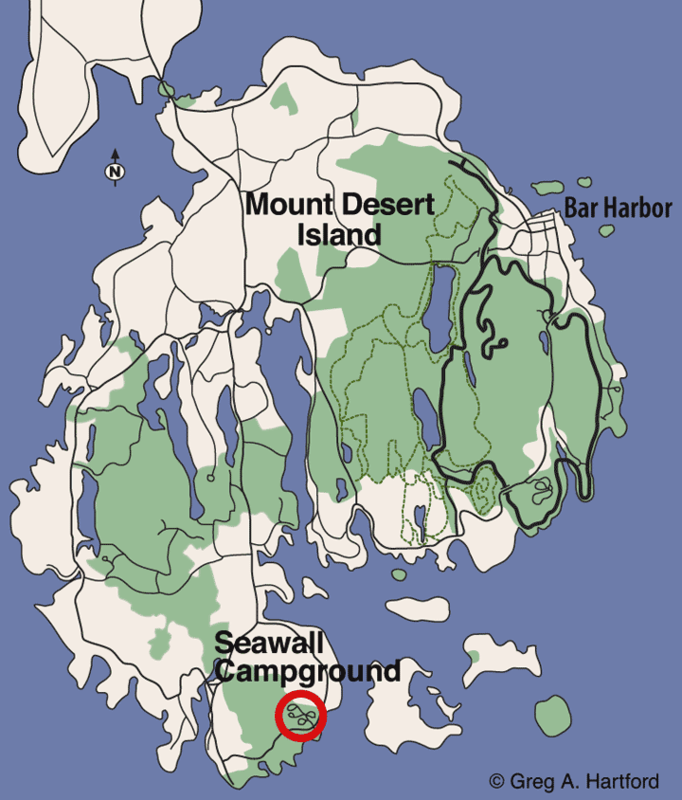 Sites are about a 10 minute walk from the ocean off 102A about 4 miles south of Southwest Harbor, Maine center, on Mount Desert Island. Showers and camping supply stores are nearby. 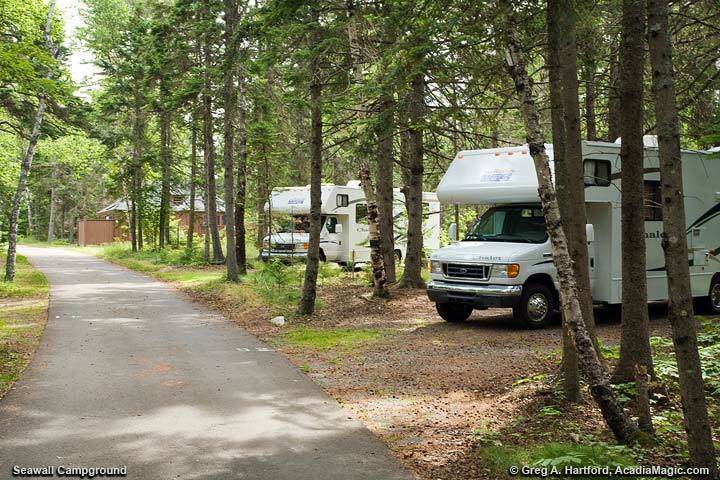 During late July and the whole month of August the campground is in high demand with lines forming early each morning. There is a maximum of 6 people and one vehicle allowed per site. The party size limit may be exceeded to include one immediate family (parents and children). Recreational vehicles may not exceed 35’ (10.7 m) in length and 11’ 8” (3.5 m) in height. Extension pull-outs must fit within the site pads provided. Wonderland Trail is close by to the southwest. Seawall Campground is approximately 18 miles southwest of Bar Harbor which is less that 30 minutes drive time. Seawall, a naturally formed seawall in Acadia National Park, is across the road from the campground. There is a park picnic area on oceanside as well. The FREE Island Explorer Shuttle Bus - Route 7 has a pickup and dropoff point here. 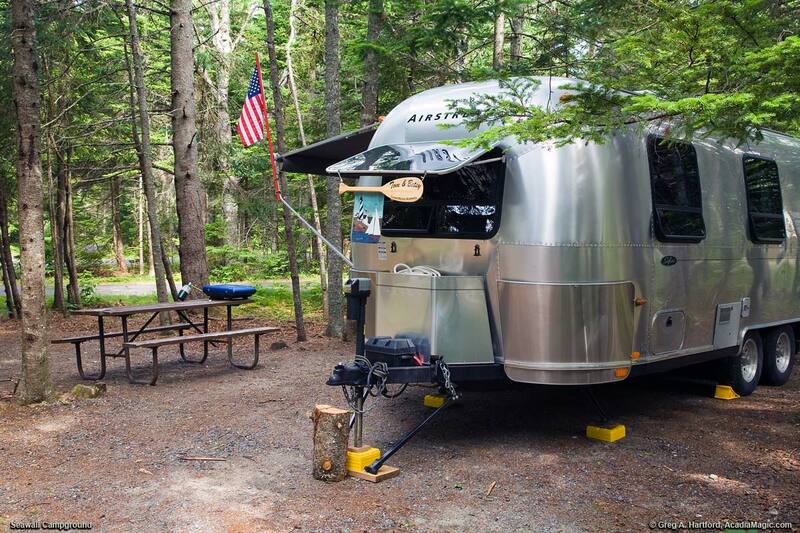 If you have never experienced this side of Acadia National Park on Mount Desert Island, definitely give this a try. The Seawall campground is a highly desired campground by those in-the-know and frequent visitors. Perhaps you have heard of the expression “Life on the Quiet Side.” This is the area which reflects that lifestyle which includes places like Seawall, Bass Harbor, the Bass Harbor Head Light, Bernard, Seal Cove, and Southwest Harbor. Consider at least a 3 day stay here and take advantage of the nearby hiking trails. This is a wonderful spot for a campsite. Be sure to check out the many other options on and off Mount Desert Island as well. They are all very good.